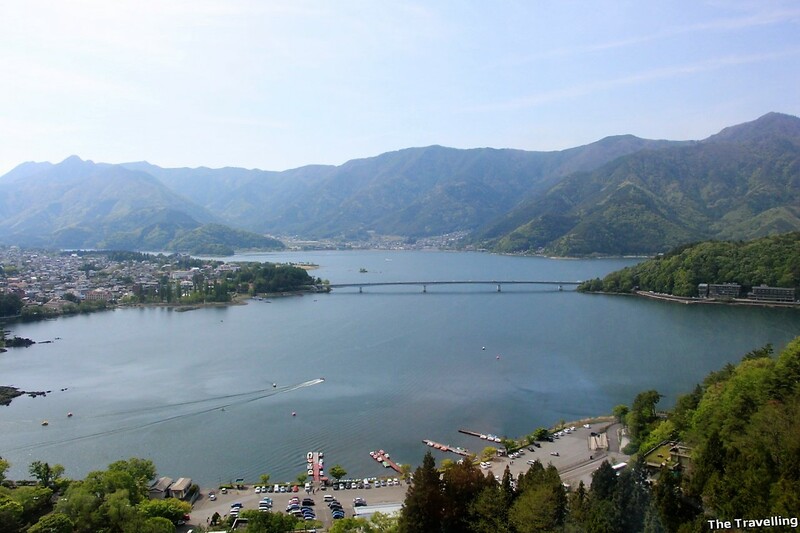 View of Lake Kawaguchiko from the cable car, going up. 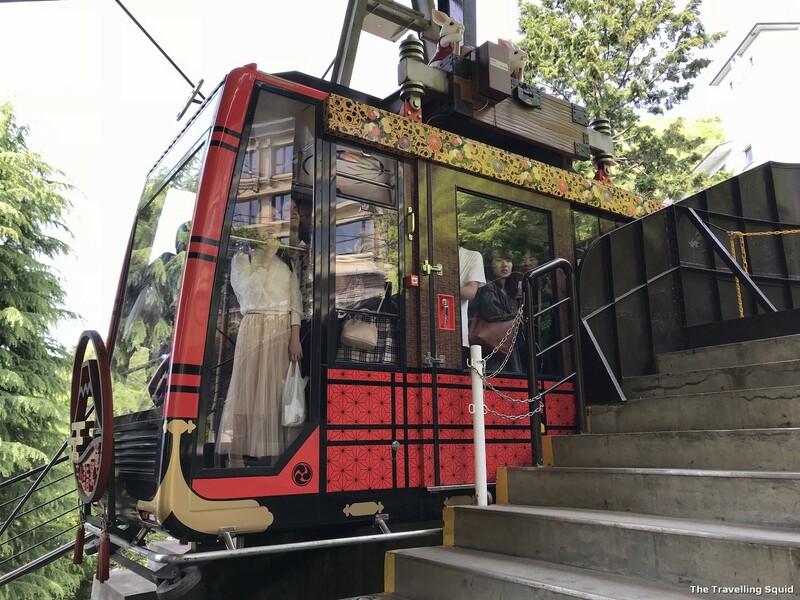 Just in case you’re wondering what a ‘ropeway’ is, taking the Mount Fuji Panorama Ropeway at Kawaguchiko is akin to taking a cable car. 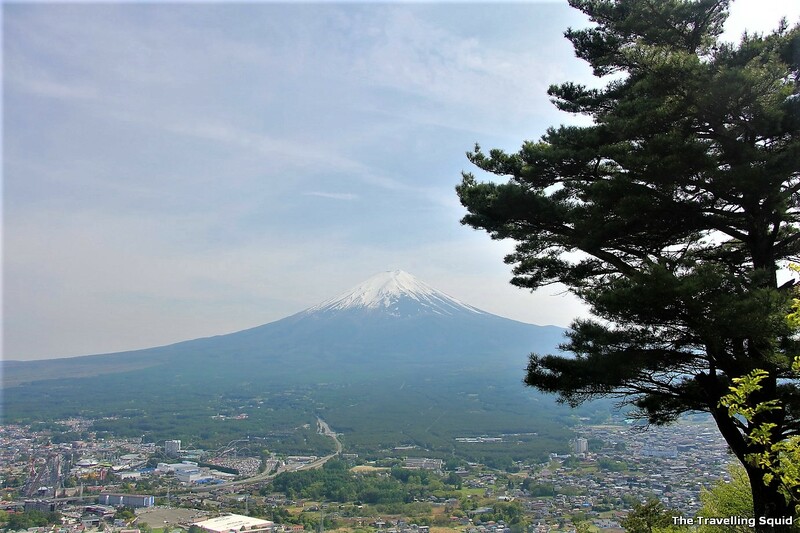 The Ropeway takes you close to the summit of Mount Tenjo, a mountain 28km away from Mount Fuji. It gives you quite a beautiful view of the mountain at the cable car platform and also at the peak. 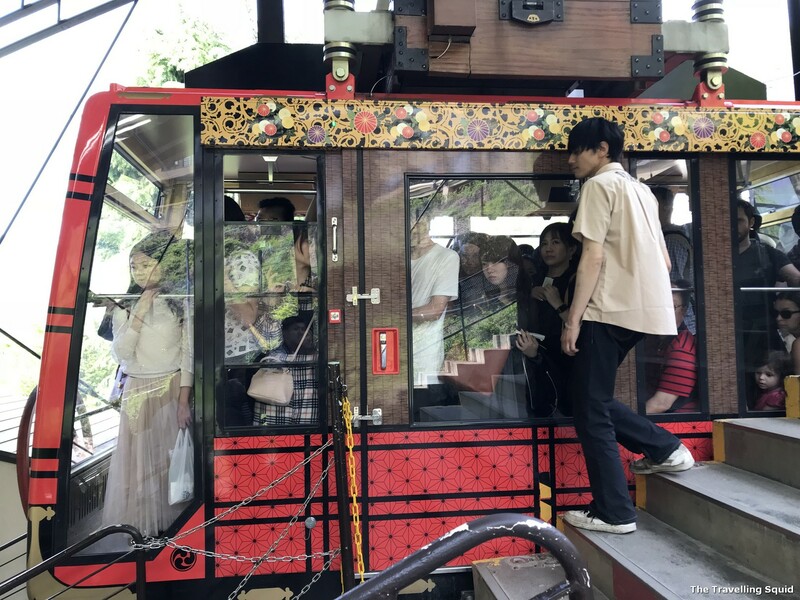 As it’s a cable car, young children are also allowed on board. An alternative would be to hike up the mountain, and that would take you about 40 minutes. 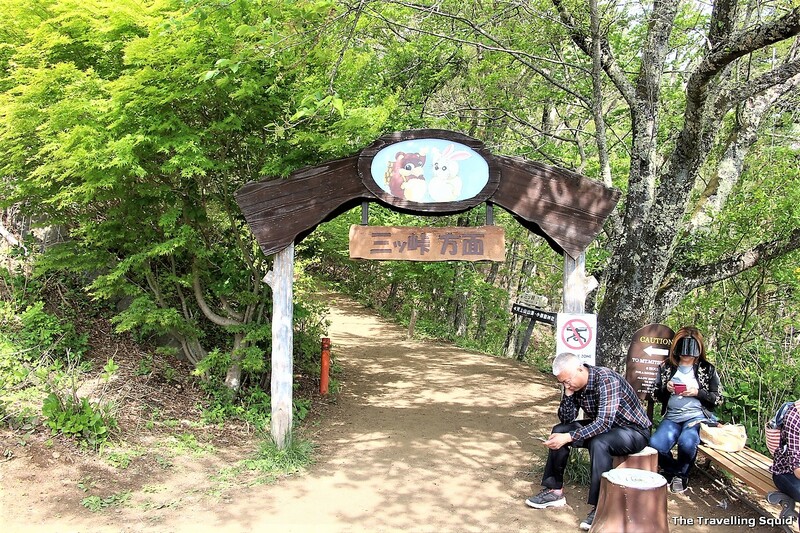 To get to the summit of Mount Tenjo, a short 10 minute hike up from the cable car platform is required. 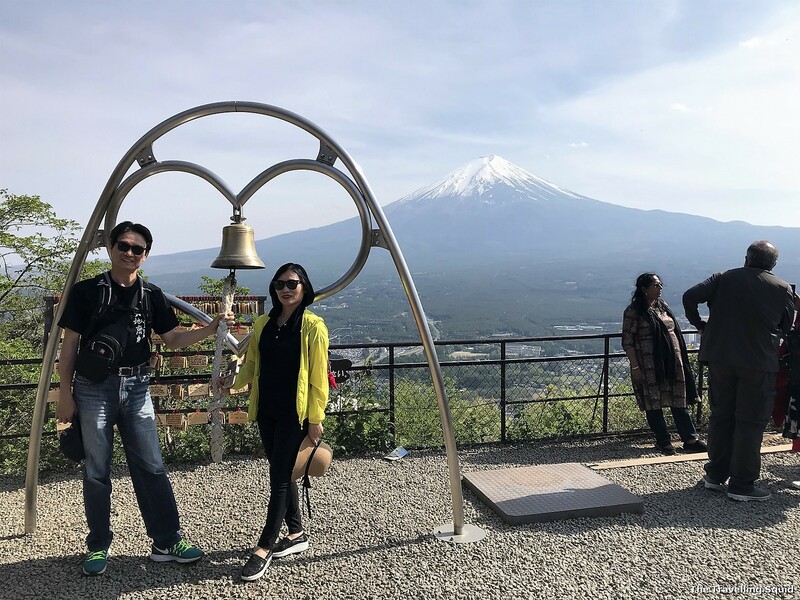 Here’s the story of us taking the Mount Fuji Panorama Ropeway at Kawaguchiko. It was a good experience. 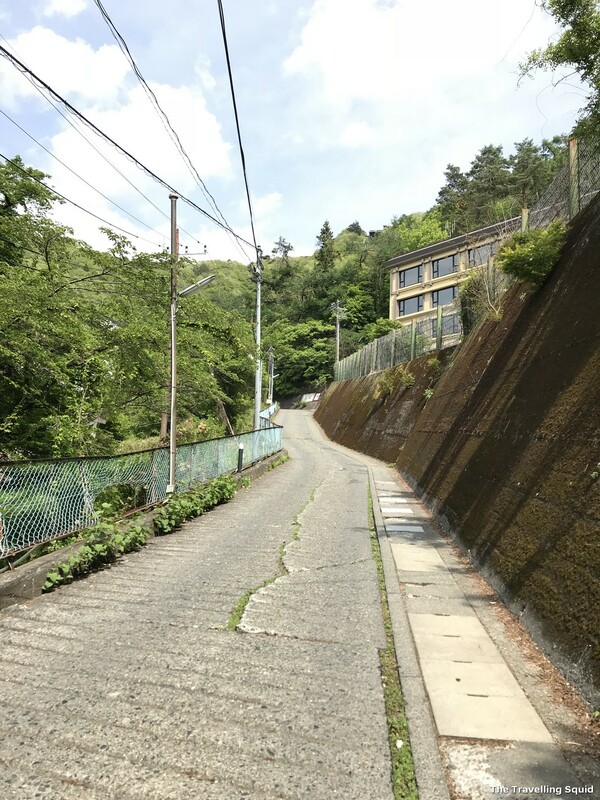 I would have loved to hike up the mountain but unfortunately, we were only in Kawaguchiko for a day and wanted to make full use of our experience. By the time we were done with our Hoto-men lunch at Restaurant Lakeside, it was close to 1pm and we had to hurry along. 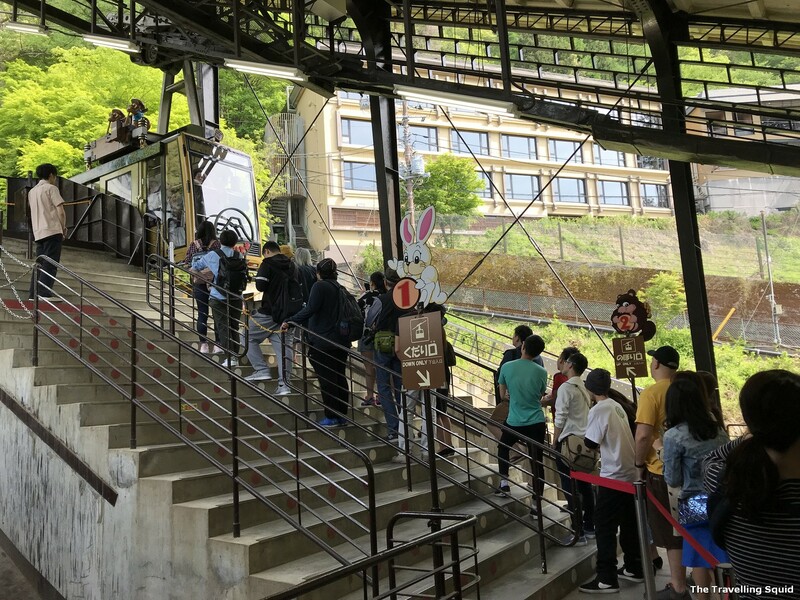 There was a line for the ropeway, but we didn’t have to wait too long – it took about 20 minutes for us to reach the platform. You can purchase tickets via the machines on site at the second level. 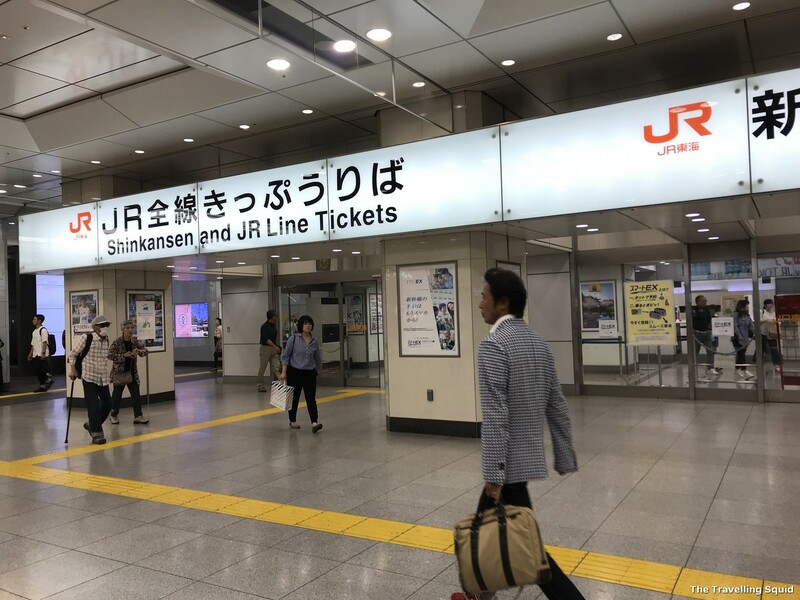 It cost ¥800 for a round trip and ¥450 for a one-way trip. As we were pressed for time, we decided to take the round-trip. Boarding was straightforward. People left in an orderly manner, then they moved the barrier for people to enter. It can get quite squeezy inside – there’s about 40 people each time. We were fortunate to be at the front of the line. Hence, we got a good spot to take pictures of Lake Kawaguchiko when the cable car was going up. The cable car staff gave a bow each time the cable car came into the platform. It’s a fully packed car. There’s nothing much to do at the cable car stop. 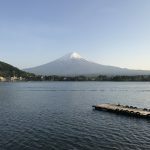 Well, the view of Mount Fuji is impeccable, but it’s much better at the summit. There’s also a Tenjo Bell for lovers to shake and take pictures with. There was a long line so we didn’t take pictures with it. After all, the summit of Mount Tenjo was much more alluring. 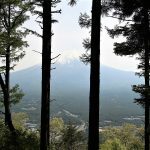 View of Mount Fuji, with a nearby tree. From the cable platform. The entrance to the summit. 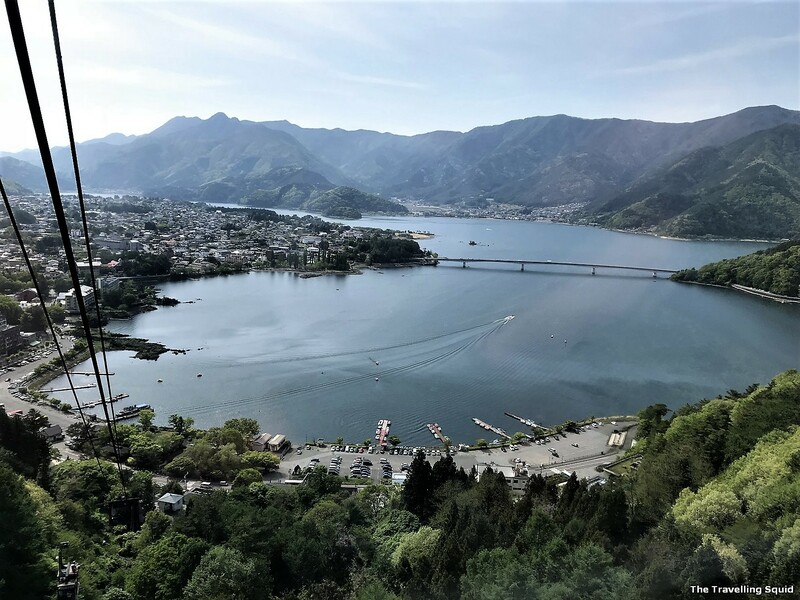 View of Lake Kawaguchiko, from the cable car. I’ll talk about our hike to the summit of Mount Tenjo at a later post. Stay tuned! Opening hours: 9am, – 5.20pm (last ride is at 5pm). 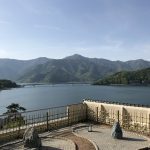 How to get there: It’s right next to Restaurant Lakeside, which is a 15 minute walk from the Kawaguchiko Bus Station. 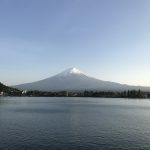 One Response to "Taking the Mount Fuji Panorama Ropeway at Kawaguchiko (Part 1)"